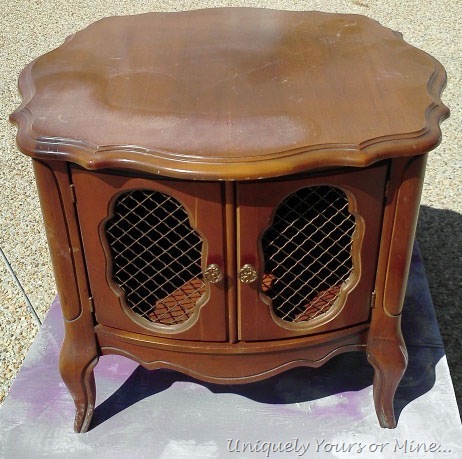 French Provincial Drum Table – Uniquely Yours… or Mine! I just love these tables.. this is the third one I have refinished.. I scoop them up whenever I can! I think they are not only pretty, but have great storage.. I even saw where someone turned one into a dog bed for a small dog, I love the idea! I had started to sand a little on the left before I remembered to stop and take a picture.. 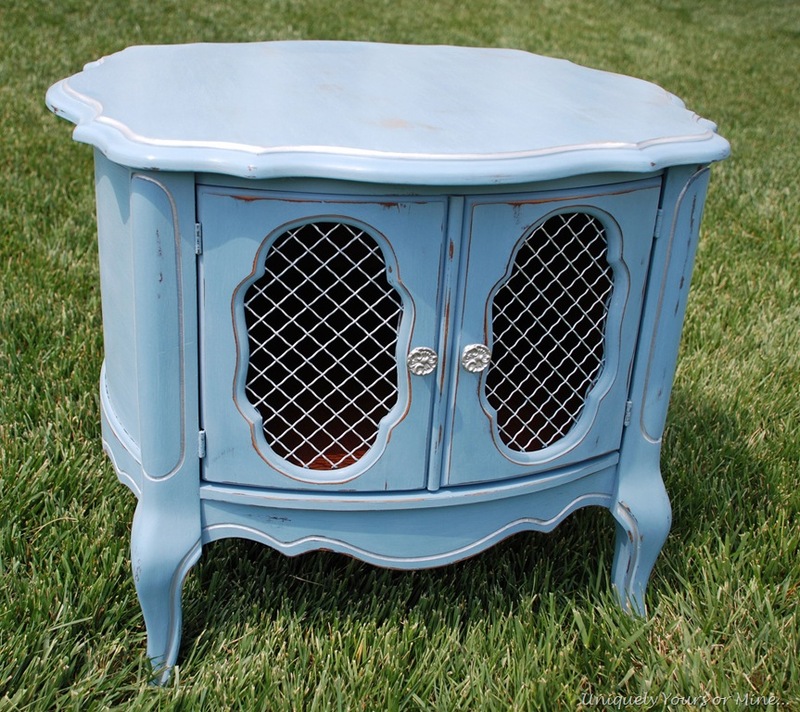 So I painted it in a custom blue chalk paint mix.. I really shouldn’t even use the term “custom” since all I did was mix the last bits of Aubusson, Louis Blue, Greek Blue and another custom blue I had on hand together.. perfect! Thank goodness I had enough! I then used a silver leaf pen and painted the inset area along the top, the front of the grates and the knobs. Once everything was dry I distressed, waxed and buffed the piece. I much prefer the grates silver.. It makes it look “blingier”.. seriously I KNOW that is not a word… but it definitely looks a lot happier than before! Taking this with me to Lucketts Spring Market! I would love to know what you think about this piece, so please leave a comment if you can! Thanks for stopping by.. until next time! Beautiful! I love the blue. But, where does everyone find these tables??? I never see them anywhere. Hmm.. I have found all of mine on Craig’s List.. usually older people downsizing?? Usually for very great prices! Good luck? I love the color. I think you did a great job. This table is awesome and would really go perfect with my coffee table. My table has the same legs and stain; intend to paint it also. I love your color choice and the silver accents just give that extra something special. I had a set that would have matched this perfectly, You know the two-tiered side tables, they even had the matching doors. There was also a quarter pie shaped one with the same doors and two drawers in the middle. I had to give them away when I moved out of state as they were too large for my new space. If I could remember who I gave it to I could probably talk them into giving it back, they only took them because they knew I didn’t want to send them to goodwill! 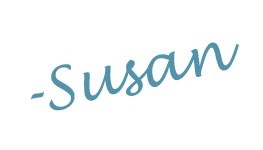 I’d love if you’d share it at my Frugal Treasures Tuesday party. Have a great week! 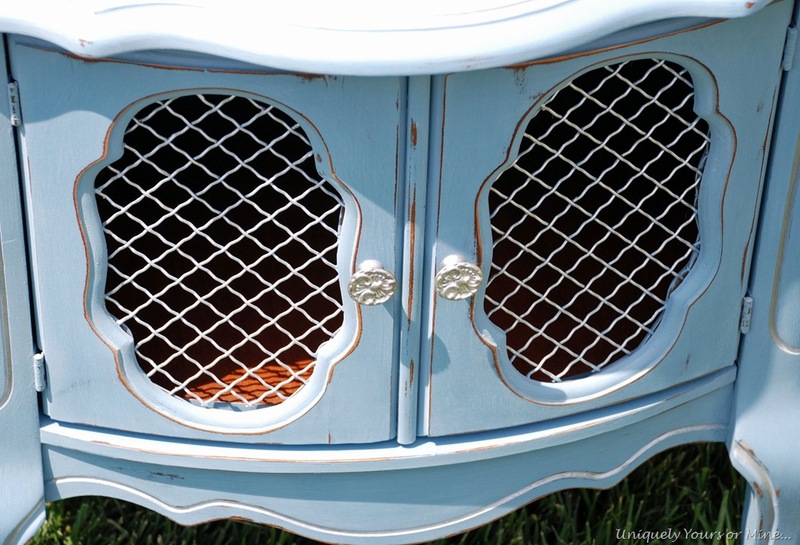 Isn’t it amazing what some love and chalk paint can do to bring a tired piece of CL furniture back to life! I love the blue!! Thanks Connie! I hope your finger is getting better.. Ouch! Well, first I have say that I have never heard any DIY’ers using the term Six Sigma before – until you. It’s been 10 years since I’ve had to deal with that process. That’s funny! I was an accountant in another life, so I do love a good process improvement 😉 but I’m glad to hear that I’m not the only one who doesn’t plan everything out! I just bought this piece, plus a table and chairs and a record player unit from a man. His mom passed away. He was so happy to sell to one person. The record player works and is so cool, that now I want to keep it and put it in my house. While I love the chalk painted look, my furnishings just don’t lend itself well to a color. My house is decorated tuscan style with gold, olive greens, reds (jewel tones). So, what color should I use to make these pieces blend into my home. I’m so torn on painting and selling or painting and keeping. Ugh! If you love them by all means keep them! I don’t think there is any style that cannot carry painted furniture, it just depends on how or what it is painted with. There is a lot of Tuscan style painted furniture and some great paints out there that can help you accomplish your goal! The Emporor’s Silk chalk paint is a great red and there are also a few good green/beige colors in the mix you may be interested in… Good luck!